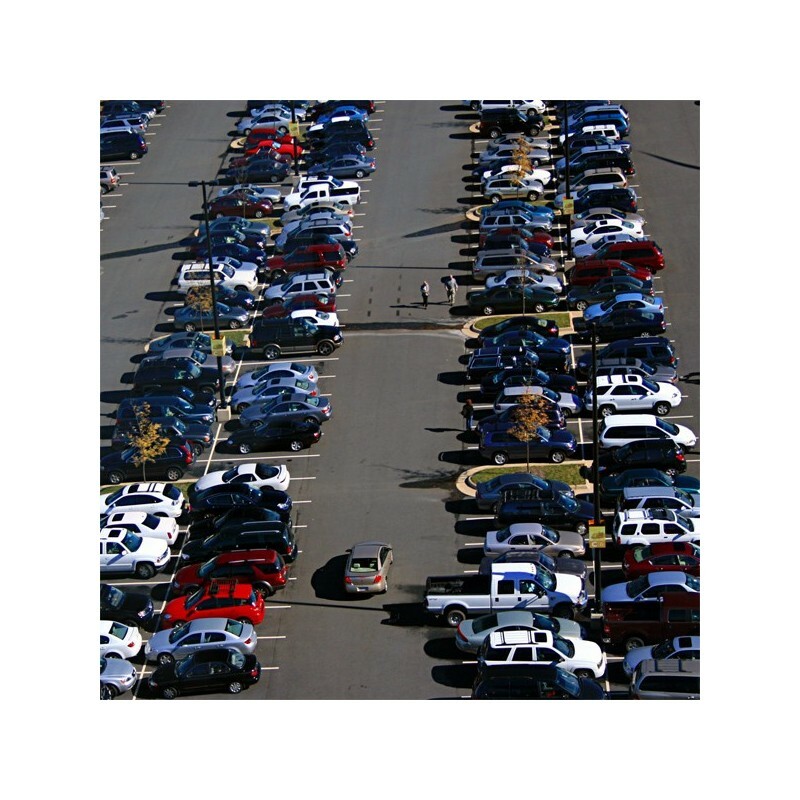 The recording was made on the open parking near a big shopping center in a rush hour. We can hear a lot of cars, people passing, rustling shopping carts, children, engine whir and many other sounds. Great part of the recording contains people's conversations in the background and sounds of vehicles. Some part contains also conversations in the foreground or vehicles passing nearby.